Congrats to the Cleveland Cavaliers on their historic win last night against the Golden State Warriors on Game 7, winning the NBA Finals! Not only was this such an historic win as the Cavs were the first team to ever come back from a 3-1 series deficit to win a championship, but it was also their first NBA title win. Lebron James also won MVP. Make sure to catch a game next season and book in advance with one of the properties listed above. 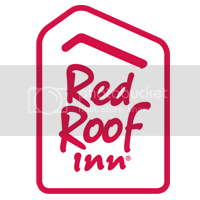 With the money you save by booking at a Red Roof Inn, you can get more out of your Cleveland Cavaliers basketball experience.